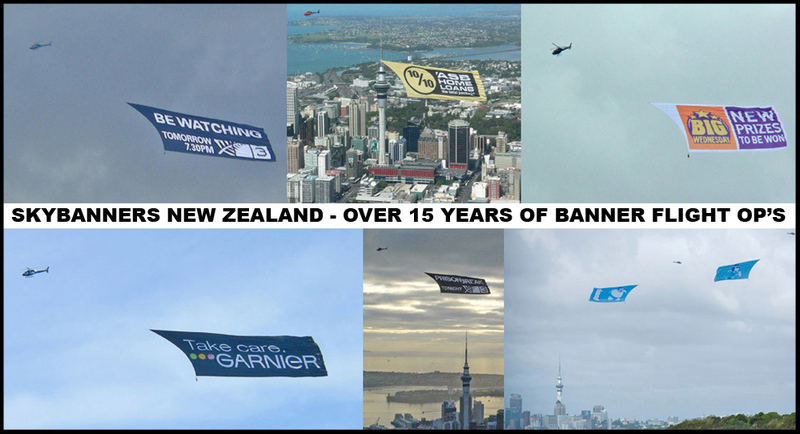 Skybanner Helicopter Banners are the largest form of aerial advertising available in the world. And the coolest! Our standard size banner is 1,500 square meters (approx 27m x 55m). These can be flown at 40-50 knots, enabling awesome coverage of city areas. We make larger banners up to 5,000 sqm and smaller banners for helicopters such as the R44. 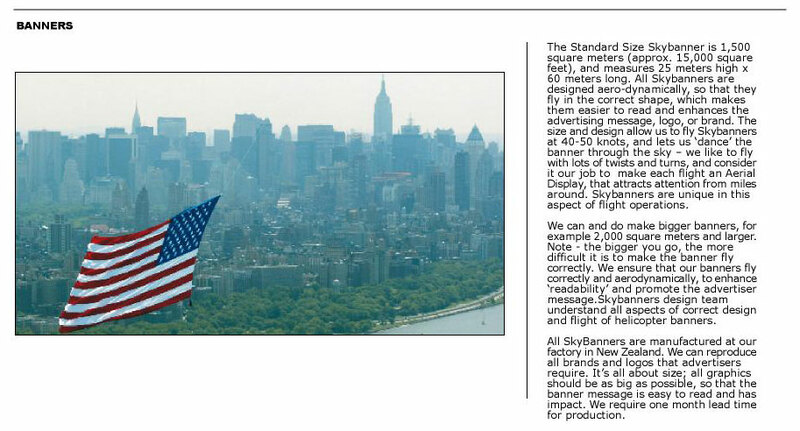 Skybanners were the first helicopter banner company in the world, to be approved for over city flights, using the Skybanner Safety Systems. We have a perfect safety record, and respect of chopper companies worldwide. 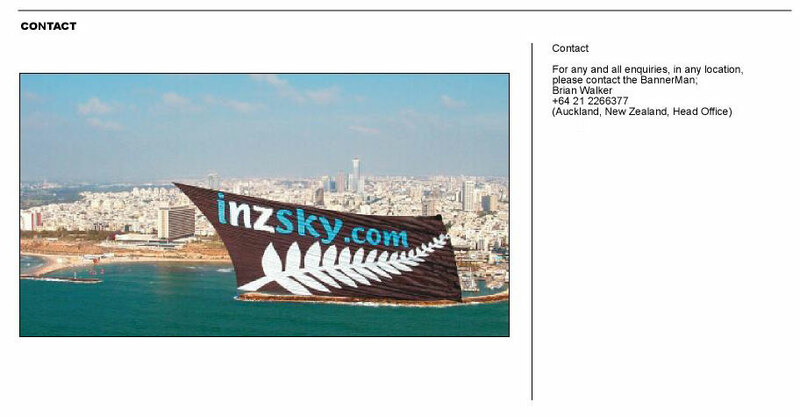 Skybanners operate internationally. We work with leading helicopter companies in many markets. Our helicopter banners unique design and style, enable stunning flight displays that attract the attention of whole cities. We work with many international advertising clients, conducting aerial campaigns for leading brands. 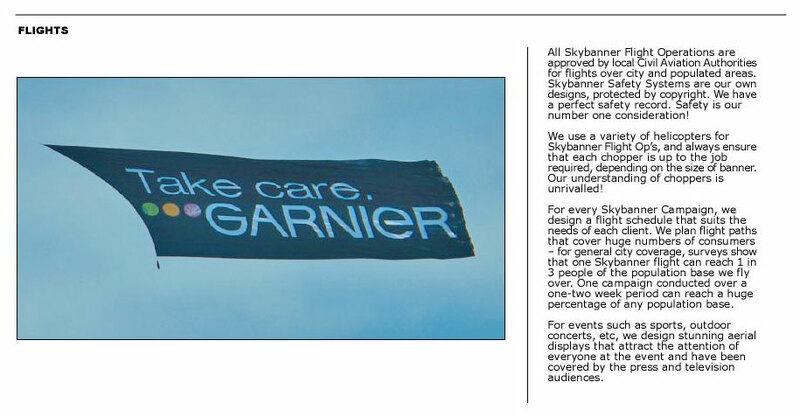 Skybanners specialize in event displays for sports, exhibitions, trade shows etc. We supply ground & flight crews, to any international location, and design flight campaigns that promote sponsors to the extreme. WE UNDERSTAND - HELICOPTERS - EVENT MARKETING - TARGETING HUGE POPULATIONS - SAFE & APPROVED FLIGHT OPERATIONS - AND MAKING A WHOLE CITY GO "WOW!" 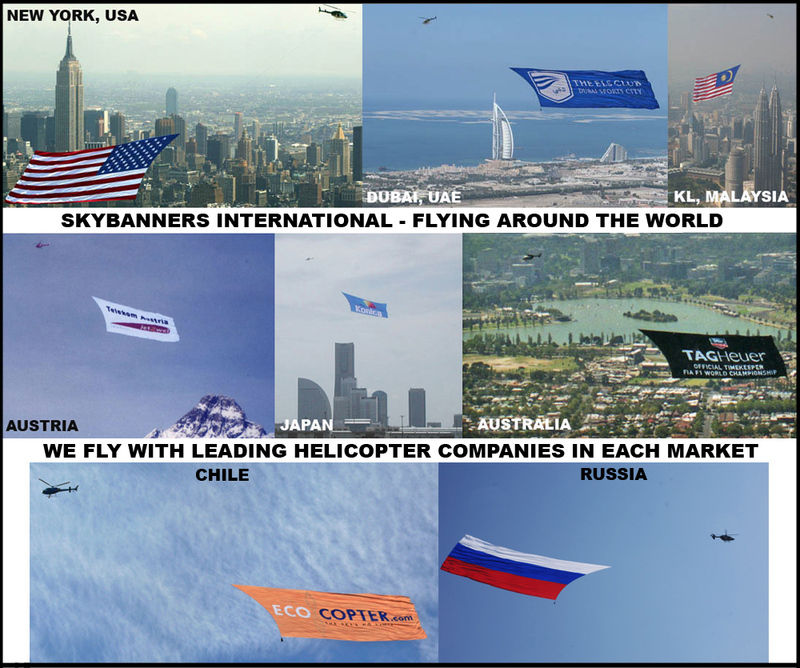 We fly Skybanners around the world! 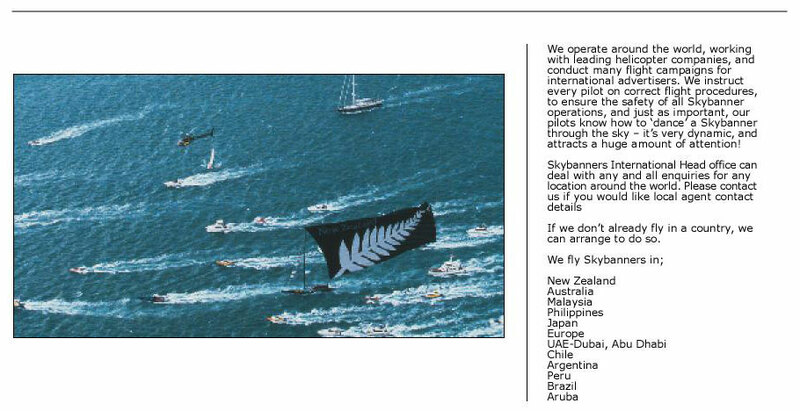 For more information about Skybanners, and the countries we fly in, please scroll down! FLY THE SKY OF ABU DHABI & DUBAI ! WE’RE NOW OPEN IN THE UAE! FOR IDEX 2011 IN ABU DHABI !! Watch our flight in Vegas!